Faculty members who are interested in learning more about a particular project(s) are invited to fill out the faculty interest form. We will then connect you with the City Project Lead and their team for further discussion. All Economic Development projects have been matched with UW courses. The City of Bellevue will begin permitting private companies to operate bike share services in Spring 2018. The pilot will last for up to one year. Data will be collected during that time to help inform the future of bike share in the city. The city will collect GPS-derived data from operators related to bicycle identification, location, availability and maintenance, trip records, collisions, complaints and compliance. However, there are some characteristics that can only be measured through field observation. The city is looking for support to complete field assessments of bike share user behavior and an audit of bicycle parking. Intercept surveys will help gauge user and broader community perspectives. Following issue identification, research into best practices for bicycle and electric pedal-assist bicycle (e-bike) use on sidewalks should inform the development of recommended strategies (e.g., signage, education, regulation) to ensure safety, comfort and accessibility for all people using sidewalks without unduly restricting use. This project must be undertaken in the Autumn and/or Spring quarter. 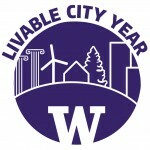 A partnership with faculty and students at the University of Washington on this proposal would enable Transportation Planning and Neighborhood Traffic Services staff to develop a Vision Zero Action Plan (VZAP) that reflects the multitude of perspectives within the City of Bellevue’s diverse community. This planning effort advances the city’s goal of eliminating traffic fatalities and serious injuries on city streets by the year 2030. Consider Vision Zero best practices — including policies, programs, and strategies — that are successful elsewhere and applicable to Bellevue. Coordinate with existing road safety efforts underway in Bellevue and Vision Zero initiative elsewhere. Engage community stakeholders in setting the priorities for investment in Vision Zero strategies. Propose Vision Zero strategies through 2030 — and determine the financial and staffing resources necessary — for a phased implementation in the 2019–2022 timeframe. Identify partnership opportunities with public, private, and non-profit organizations to advance Vision Zero strategies in Bellevue. Refine existing and propose new metrics to track plan progress and foster a One City commitment towards Vision Zero. This project should take place concurrent with the development of the Bellevue Vision Zero Action Plan (October 1, 2018 – March 31, 2019). Last updated in 1997, the Historical and Cultural Resources Survey could greatly benefit from an upgrade. Over the past few decades the scope of historical and cultural preservation practices has broadened to include a wide variety of resources (districts, buildings, public works, archeological sites, heritage areas, cultural landscapes, and related built environments). Many projects perform National Environmental Policy Act (NEPA), State Environmental Policy Act (SEPA), and Environmental Impact Statements (EIS). This work would update the city’s resources, and would include coordination with the Eastside Heritage Foundation and the Washington State Department of Archeological and Historical Preservation. This project could occur over two quarters and would ideally be undertaken in the Winter and Spring quarters. The city’s neighborhoods have a wide variety of architectural styles that form patterns and visual identity for their residents. There has been a lot of residential infill and redevelopment in the city’s neighborhoods often characterized by existing residents as too intense or out of place. Identifying and documenting the architectural patterns and identity for the city’s neighborhoods is a very helpful data base that could inform many different purposes such as: potential infill design guidelines or redevelopment, historic preservation, affordable housing design and neighborhood planning. An architectural pattern book would identify the prominent architectural patterns whose continuation allows change to be accommodated while preserving valued aspects of neighborhood character. An understanding and focus on the patterns of development, such as orientation and rhythm of development, street frontages, scale and form, allows for diversity in specific architectural style while preserving the underlying sense of place and character of neighborhoods. This project would ideally be undertaken in the Winter quarter. Bellevue’s motto “City in a Park” has helped guide park development, tree preservation, and development standards. Bellevue’s urban landscape has changed significantly in the past several decades. Development of urban forestry best practices will ensure that not only today’s community but tomorrow’s will enjoy the multitude of aesthetic and environmental benefits that come from a healthy urban forest. This effort could also include outreach and education regarding: tree canopy; the understanding and appreciation of economic, social and environmental benefits; and wildlife and habitat creation and preservation. This project would ideally be undertaken in the Autumn quarter. Urban planning for special events to help assist in transportation and mobility to and from events (parking, mass transit, ridesharing, etc.). Following the evaluation and assessment of the current management model, asses and develop best practices including modifications to the Special Event Code and specific event requirements to maximize the ability of these kinds of events to add to the unique character of Bellevue. Students will work with the Parks & Community Services Department to review existing data sets relating to recreation programs, facility reservations, and park use. They will assess needs of data consumers, identify gaps, and evaluate/propose options to fill gaps to improve the ability of community center managers, supervisors, and program coordinators to make data-informed decisions. Several possible outcomes include the development of a management dashboard, evaluation and modification of survey methodology and collection practices, and modification of data collection practices. All Achieving Human Potential projects have been matched with UW courses. Bellevue’s cultural diversity has seen significant changes in the past 10 years. Bellevue would like to increase community and civic engagement to better connect with the Chinese community. This program would research, evaluate, and assess best practices to develop new strategies, tools, and programs to better engage and connect with Bellevue’s Chinese community. This work would include implementing pilot programs and providing recommendations based on information developed through piloting different techniques and strategies. Rules governing public comment during meetings. City Clerk’s Office staff are interested in pursuing methods to enhance traditional approaches of meeting compliance that reflect the community we serve. Areas of exploration may include methods of communicating with governing bodies (online and in person) and using technology to assist with the translation of meeting materials and presentations. Deliverables may include strategy guidance such as the development of a maturity model, identification of tools and processes, or research into emerging best practices supporting public participation. Several innovation laboratories have been established within Bellevue (GIX and Bellevue Downtown Library). The city’s Bellevue Service Center (located in north Bellevue) is home to Utilities, Streets and Fleet Management personnel. Evaluate, assess and determine if an innovation lab with a focus on skilled labor, such as city infrastructure maintenance, could be implemented at the Bellevue Service Center. The Development Services function at the City of Bellevue is managed as a multi-department single line-of-business that provides services to both the private and public sector. Our staff primarily provide information, assist customers, and review and inspect a diverse range of development projects or proposals from street right-of-way use applications and landscaping to water service, fire sprinkler systems, mass transit light-rail and mixed-use high-rise construction. We are committed to providing excellent service to our customers and therefore it is essential that we obtain accurate and meaningful feedback on what our customers experienced in interacting with us and that we obtain it soon after those interactions to ensure that it is still relevant and that we can respond faster. Survey questions could cover topics including, but not limited to: overall customer satisfaction, consistency, understandable process, how we can improve. Analyze survey results, track longitudinal data/trends with new and historic data and establish an ongoing process for implementing process improvements based on customer feedback. Currently the city has decentralized receivable operations across several departments. As a result, there is a variation in billings system capabilities, department processes, and ongoing monitoring of receivables. One phase of the city’s efforts is to analyze revenue streams for customer payments recorded outside of any department’s billing system. Identify revenue streams that occur outside of any department’s accounts receivable process. For any revenue streams found in Step #1, document why each department uses this approach. For any revenue streams found in Step #1, document what kinds of internal controls and receivable aging monitoring is built into the process. The City of Bellevue currently has a supplemental pay schedule known as the “R Pay Plan” which classifies and determines pay for positions that perform part-time, variable or seasonal work in our Parks and Community Services Department. The R Pay Plan has three broadly defined classifications: Recreation Assistant 1, Recreation Assistant 2 and Recreation Assistant 3. Within these classifications are a variety of positions including but not limited to lifeguard, tennis instructor, cashier, beach manager, camp counselor, etc. Recent changes in the minimum wage laws and the fact that this pay plan has not been updated recently has caused the current structure and pay ranges to become outdated and ineffective. The city would like an analysis of the current work being performed by incumbents in the R pay plan classifications as well as a review similar work being performed in neighboring jurisdictions to provide a recommendation for potential changes to the structure and/or pay ranges. Knox boxes are small, wall-mounted safes that hold building keys for fire departments to retrieve in emergency situations through the use of a single master key. The Bellevue Fire Department is currently beta testing an electronic key to replace the existing mechanical key. There are approximately 1,800 knox boxes throughout the fire department’s service area but the city does not have an accurate inventory of the boxes. In addition, the cost of keyway replacement is significant at approximately $400,000 – $500,000. Deliverables would include creating an up-to-date, accurate inventory of existing knox boxes in the service area and developing options for the department to consider to cover the cost of replacement, including cost sharing with building owners. The Fire Department has had a preventable response ordinance since 1994 that has remained unchanged with the exception of the monetary penalty. The intent of the ordinance is to encourage maintenance and needed modifications of alarm systems and discourage careless acts that result in alarm activation. The Fire Department is seeking an evaluation of its Preventable Response Report program, working with program staff and firefighters to create a more efficient and effective process for responding firefighters to record instances of false alarm, report creation from the city’s electronic records system, and measure success of the program. Dwellings that lack working smoke detectors pose the biggest risk to our residents. This project would create an awareness strategy highlighting the need for working smoke detectors in all bedrooms and in all levels of dwellings and hallways providing access to bedrooms. It would also spotlight the need to replace smoke detectors every 10 years. Manufacturers regularly recall products because the products fail to operate as intended. Fire safety products such as smoke detectors, fire sprinklers, and fire extinguishers are all examples of recently recalled products that are relied on in the direst of circumstances and yet there is currently no effective way to message this to the community. Many buildings in our service area have smoke control systems. An inventory of buildings that have these systems and information on system design would greatly benefit reviewers in Development Services and the pre-fire program. This project involves creating a database of these systems that would include capturing images of the smoke control panels. Contacting building owners can be a daunting task, whether it is a fire crew attempting to deliver a notice of inspection to the responsible party at a condominium complex, or a member of the Fire Prevention Division following up on a past due inspection, or our Community Risk Reduction Specialist attempting to push out an awareness message. There are a variety of databases used in the city along with a county database. This project would identify a single, easy-to-use database that the Fire Department could use for its many purposes. Sheltering residents following an emergency or disaster is a vital responsibility for the City of Bellevue. It is vital that shelters are inclusive and that all residents are welcome, including those with access and functional needs. To make this a reality, the City of Bellevue is working with regional partners to form a Functional Assessment Service Team (FAST). FAST teams are groups of trained individuals who deploy to shelters to assess how best to accommodate individuals with functional and access needs. FAST members assess what their individual needs are and coordinate the procurement of resources that are necessary to ensure those individuals can remain at the shelters when no longer needed. The city would benefit from research on which local organizations who work with Access and Functional Needs populations would be willing to work with the Office of Emergency Management to develop FAST Teams. The Human Resources Department currently has on its workplan a project to revamp the city’s onboarding process which involves researching best practices and proposing tools, checklists and ideas that HR could provide to city departments and/or HR would offer. This would also include revamping the Human Resources website to include an online onboarding tool where new hires can receive and complete necessary forms, host videos, find information from Bellevue Beginnings training (required for all fully benefited employees) and information on a baseline onboarding plan for all departments to follow and customize according to departmental needs. This project involves an evaluation of the processes behind the consolidation of the data for the city’s budget process with an eye toward recommendations for Microsoft-based automation opportunities. Includes documentation of processes for risk management purposes. Employee recognition is an important component in maintaining an engaged workforce. While internal programs provide personalized recognition, and are specific to departmental goals, it is also important to recognize efforts at an organizational level which emphasizes our core values and organizational goals. We would ask the team to research best practices and provide a recommendation on options for organization-wide recognition programs. The programs should demonstrate alignment with our identity as a city, our core values and our priorities and goals. It should foster a work culture that encourages collaboration, innovation and future focus. This project must be undertaken in either the Autumn or Winter quarters. The City of Bellevue launched our Open Data portal (data.bellevuewa.gov) in February 2016. Bellevue believes that public data should be available to the public, and the Open Data portal provides this service proactively, updating data on a regular basis to be viewed, explored and downloaded as needed. The Open Data portal is a great tool but city staff do not have the time or all of the necessary skills to reach out into the community and showcase the portal, or to gather feedback regarding desired datasets. The project would involve students creating and implementing a strategy that would increase awareness and participation in the program by actively engaging the community. 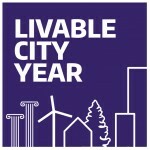 This engagement could include going out into the community and gather feedback about the program, identify requests for datasets of community interest (especially those relating to livability and/or sustainability) and help with creating stories around data the community would be interested in. This project could be matched with students from multiple disciplines (marketing, community relations, MPA/political science, environmental science, etc.). In 2006, the City of Bellevue’s Utilities Department decided to outsource all engineering design work to external consultants. For the past 12 years, the city has contracted with consultants for its design work on projects to repair, rehabilitate and/or replace aged water, sewer and stormwater infrastructure. The proposed project is to develop a business case that examines different options for performing engineering design work on capital improvement projects (CIP) to help the Utilities Departments deliver its CIP Program. Several options (e.g., in-house design, out-sourced design, blended models) will be identified and analyzed to determine the best possible re-structure recommendation. A cost-benefit analysis, risk assessment and overall viability evaluation will be performed on each option. The comprehensive business case will be presented to the Bellevue Utilities Directors for approval. • Development of contractual agreements with other government entities and outside vendors. • Research and development of industry standard training plans focused on Emergency Management. • Research and development of emergency planning tabletop exercises, templates and areas of focus. The chart of accounts is the foundation of any financial reporting system. The city is currently beginning to research various opportunities to upgrade the financial reporting system it uses. The current chart of accounts has been in place for several years and will need to be improved to be ready for a new system. The major areas of opportunity are simplifying the object codes on the expenditure side and the subsidiary accounts on the revenue side. The deliverables would include the review of the existing chart of accounts structures. This would include interviewing information stakeholders to determine what information is needed and how it will be used. It would also identify where a single segment is used for multiple purposes. Deliverables may also include identification of tools and processes regarding best practices for the chart of accounts. The analysis should include the requirements for each component and a recommendation of how to streamline the chart of accounts. Any recommendation would have to maintain the BARS standards as set forth by the State of Washington.